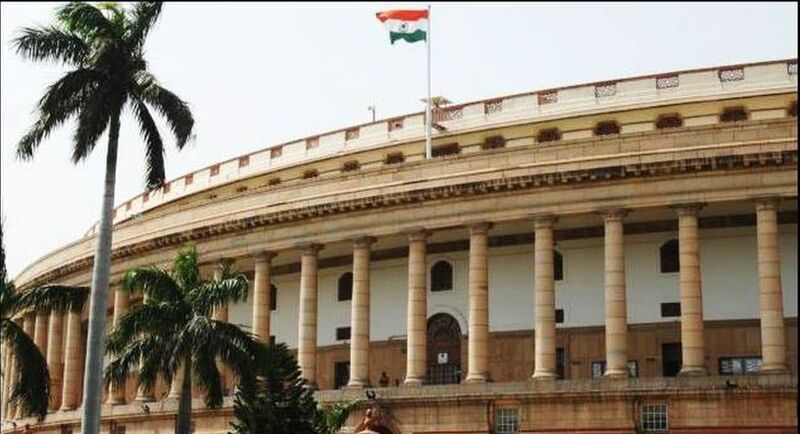 Lok Sabha on Thursday witnessed uproar as Opposition targeted the government on the demonetisation issue even as the ruling BJP members sought to pin down the Congress over alleged bribery in the AgustaWestland chopper deal, leading to adjournment of proceedings till noon. Members from Opposition and Treasury benches resorted to high decibel sloganeering soon after the House condoled the death of two former members. A belligerent Opposition, including members from the Congress, TMC and Left parties, raised slogans demanding discussion on the demonetisation issue. Seeking to counter them, members from the Treasury benches were on their feet waving copies of a newspaper on reports that some people in the erstwhile UPA regime allegedly received money in the AgustaWestland helicopter deal. With her requests asking members not to display papers in the House going unheard, a peeved Speaker Sumitra Mahajan said that such actions are very bad. Referring to the Opposition as well as the Treasury benches, she said it is not right for both sides to show the papers. “You (people) are responsible MPs… This is very bad,” Mahajan said. The Opposition members were heard shouting ‘we want discussion’ on demonetisation. Amid the ruckus, one question was taken up during Question Hour. Before the proceedings began, Home Minister Rajnath Singh walked up to the Opposition benches and was seen talking to Congress leaders Mallikarjun Kharge and Jyotiraditya Scindia. Singh also greeted TMC leader Sudip Bandopadhyay. Congress President Sonia Gandhi and Vice President Rahul Gandhi were present in the House. Earlier, the House condoled the passing away of two former members -N Anbuchezhian and P V Rajeshwar Rao – and stood in silence for a brief while as a mark of respect for the departed. Lok Sabha has virtually seen a washout since the Winter Session began on November 16 as the gridlock between the Opposition and the government over the demonetisation issue continues.